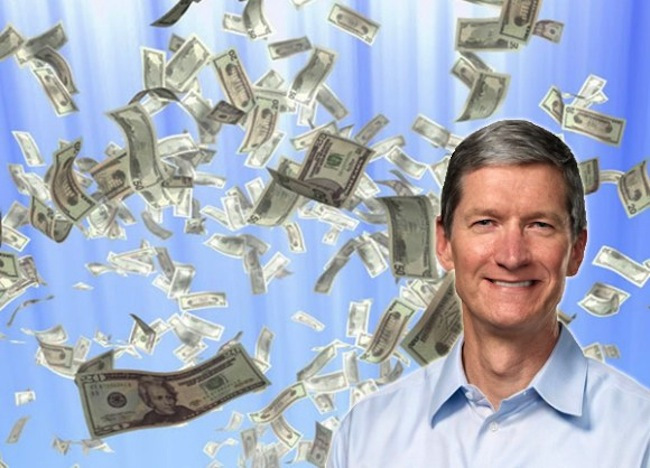 Analyst Peter Misek, via StreetInsider, is saying that Apple is looking to raise iPhone 6 prices by as much as $100. Misek claims that Apple has been actively negotiating the increase with carrier partners. Ever since hearing that Steve Jobs had “cracked” the TV industry, Apple fans have been waiting for the day the company would release an actual television set. For now, Apple has given us the Apple TV set-top box, but some analysts now believe that Apple is gearing up to deliver an actual television in the next few years. Ming-Chi Kuo today noted that an updated Apple TV box running on Apple’s new A7 processor is expected in 2014, with an actual television set to follow in 2015 or 2016. The prediction also includes a warning that Apple TV sales will be limited unless Apple can find a way to integrate new TV services and content. We expect Apple to launch a new version of the Apple TV with an A7 processor in 2014, and we forecast 2014 shipments to total 8.2mn units. Shipment growth will be limited unless Apple is able to integrate more TV content, services and its App Store, in our view. We believe the slowdown in Apple TV shipments suggests Apple faces challenges in integrating TV content and services. If Apple wants to launch iTV, the challenges of integrating content and service are more difficult considering the different TV content ecosystems (e.g. cable operators) in various countries. Moreover, establishing an iTV supply chain is very costly. Thus we believe iTV launch will be delayed to end-2015 or early 2016 at the earliest. Apple has informed its official retail stores, AppleCare employees, and authorized resellers that a small number of third-generation Apple TV units have WiFi issues. These issues surround not being able to locate a WiFi network, unable to join a network, and dropped or intermittent connections. Apple has determined that a very small number of Apple TV (3rd generation) products might experience one of these Wi-Fi related connectivity issues: Cannot locate network, Unable to join network, Dropped or intermittent connection. If an Apple technician determines that an applicable Apple TV has these issues, the unit can be replaced as part of a replacement program that Apple has begun because of these WiFi issues. Apple says that replacements can be offered free of charge up to two years after the device’s purchase date. We’ve seen predictions for an Apple HDTV and a revamped Apple TV experience come and go over the last couple of years. Analysts have predicted several times since as far back as 2011 that we’d see Apple introduce its own full-fledged TV set by the end of the year, and the most vocal analyst, Piper Jaffray’s Gene Munster, was still calling for a full HDTV by the end of the year with an innovative new remote control last we checked in. Today, in a note that sounds like it should have been scheduled for an April 1 release, another analyst has backed Munster’s claims that Apple will launch a full TV set (not a set-top box) in the second half of 2013. The “iTV” ecosystem represents a major innovation for the $100 billion LCD TV industry that will revolutionize the TV experience forever, in our view. First of all, we believe “iTV” will be 60-inches in size (but could also include 50-55 inch options). Secondly, we believe Apple will release a miniature device called “iRing” that will be placed on a user’s finger and act as a navigation pointer for “iTV”, enhancing the motion detection experience and negating some of the functionality found in a remote.